A quarter sliding through a slot, strawberry milkshakes and a coin op arcade, several lives away. 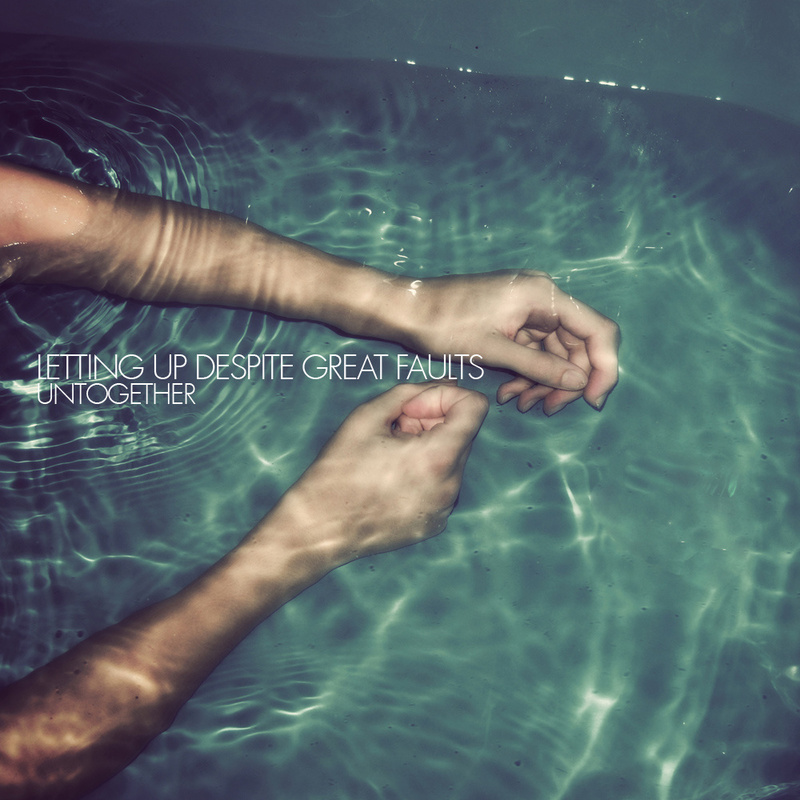 Those were the images I conjured after finishing the first spin of Letting Up Despite Great Faults‘ superb Untogether. Method of delivery: A clear red vinyl, capturing perfectly the reverb heavy synths that intertwine with the shoegaze-drenched guitars. Ah, Letting Up Despite Great Faults, it’s been a while since I gushed about you, let’s catch up. The term “dreamy” is probably overused by now, but it fits like a knitted glove so perfectly that it would be rude not to bandy it again. ‘Take my jacket, Pauline’ is a thing of beauty, as the swelling synths emanate a warm ambient that feels like an embrace you’ll remember forever. It’s both shoegaze and dance, even if it’s more about swaying slowly to the ethereal sounds that are being created by these alchemists. And then it comes. The big hit. The one song you need to remember from this collection. This shouldn’t imply that the other 9 songs aren’t wonderful, but this track, ‘Postcard’, is utterly beautiful. “In my head I know your side but I’m lost in dead divide“, half whispers Mike Lee, in this song that seems the describe the end (and previous journey) of a relationship. The sweet and the sour, it’s all here, served up to your heart’s desire. The arpeggiator in ‘Numbered days’ is a perfect contrast to the rocking guitar busted out for panache, a mixing that is more Reese’s Pieces* than chalk and cheese. All good things must end (how else are you supposed to justify pressing “repeat”?) and the chilled down ‘On your mark’ slowly walks with you towards the exit. The ending is not bittersweet, even if the ride has been. As heavily processed and layered are the notes and vocals that Letting Up Despite Great Faults weave out of thin air for Untogether, it sounds so organic and natural that it should fill your dietary needs for the day. Consume it completely, loud and with the lights out. Letting up despite great faults: Website. Myspace. Facebook. Twitter. Last.fm. Soundcloud. Bandcamp. *This reviewer assumes you love Reese’s Pieces. If not, pb & j sarnies, chips with gravy, chicken wings with blue cheese relish or a delicious cucumber and tomato salad are good alternative analogies. Posted in 80's, Apocalyptic stuff, Psychedelic, Retro is better than autotune, Reverb pedal: love it, reviews, shoegazeTagged Letting up despite great faults, Please Sir Can I have some more, UntogetherBookmark the permalink.